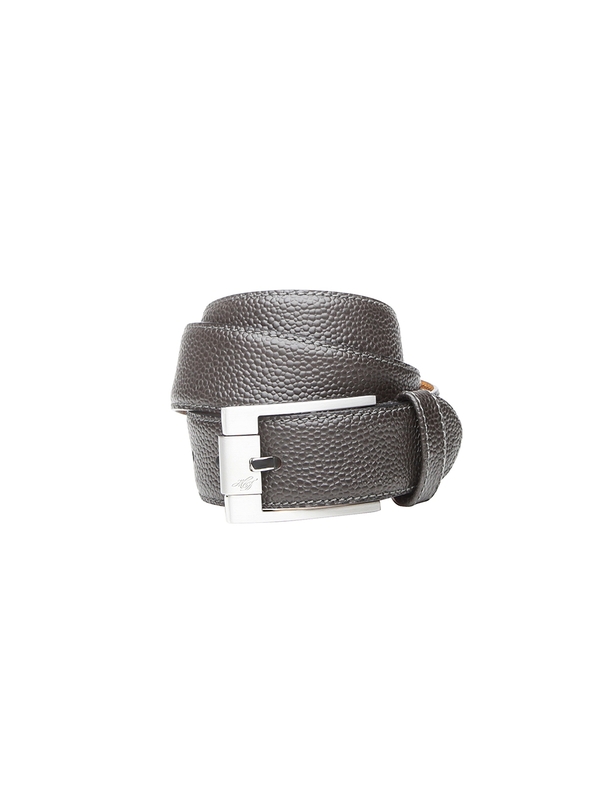 This embossed calfskin of this Art Grain belt is probably the most exceptional material used by Dinkelacker. In addition to the pleasing feel of the surface of the leather, it is also extremely dirt-repellent. 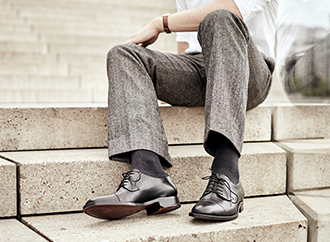 At the same time, the leather is also exceptionally hard-wearing and does not require any special care. 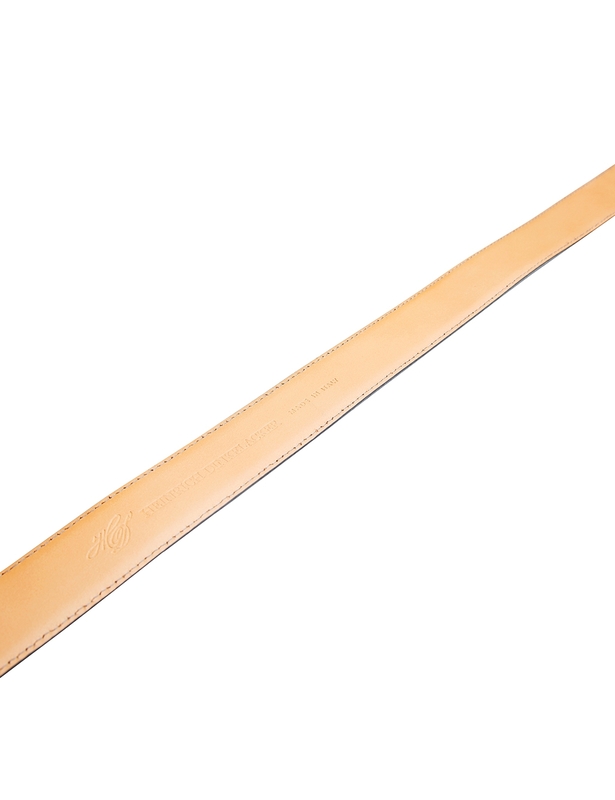 Like all our belt models, the Marian also has an inner layer made of cowhide leather, which is in no way inferior to the material used for the robust outer layer. 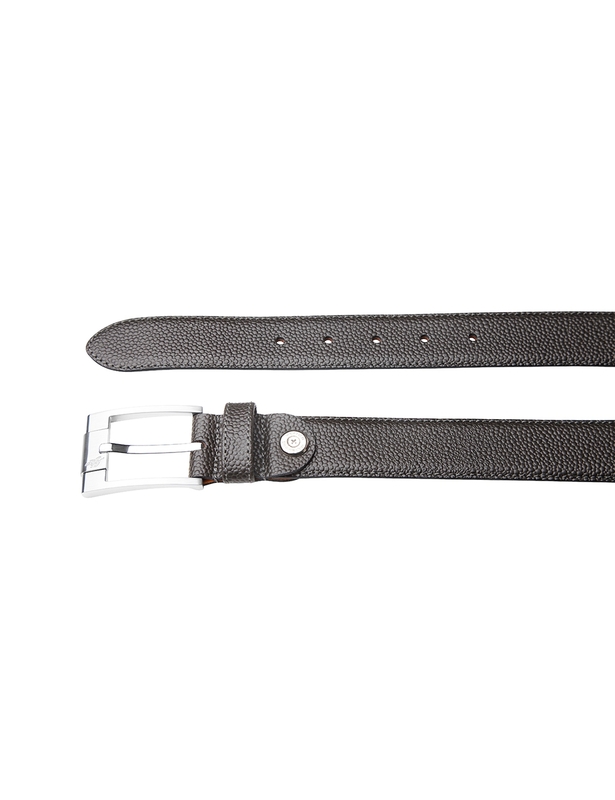 The 35 mm wide belt is completed with a classic brushed buckle with a simple pin and Heinrich Dinkelacker engraving. This belt is recommended for all shoes with the AG designation.